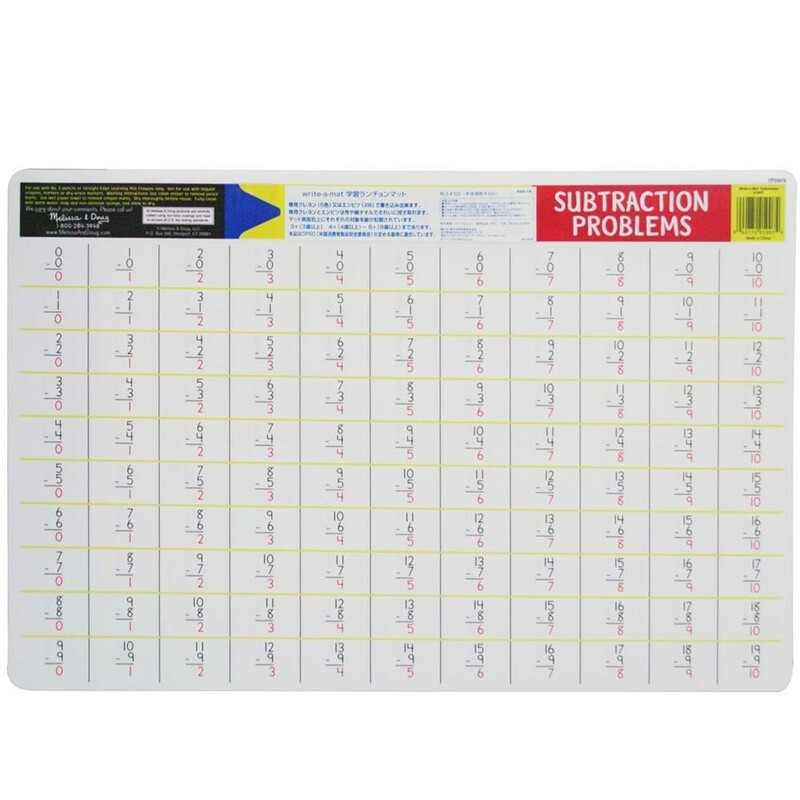 This subtraction learning table mat by Melissa & Doug features double-sided addition placemat with the subtraction facts on one side and subtraction problems to solve on another one. 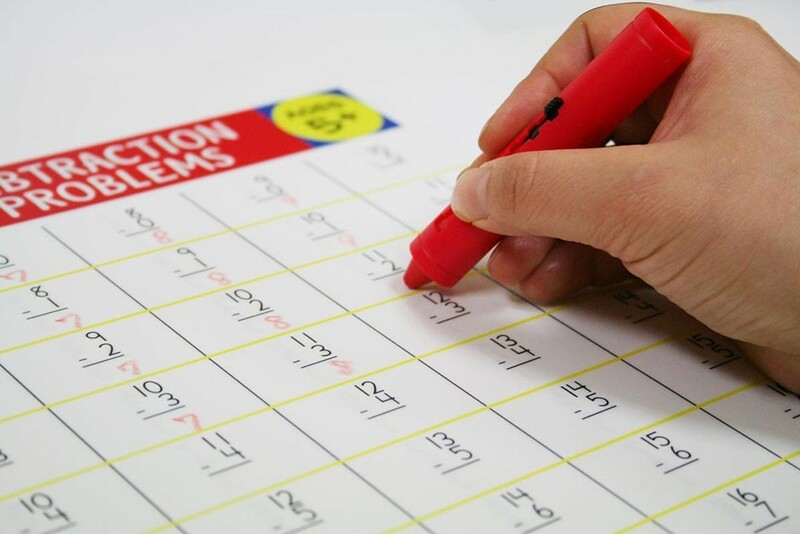 Subtraction Write-on Learning Placemat will bring added bonus to your child's mealtime and provide excellent educational activity to practice basic math operations. This learning table mat by Melissa & Doug features double-sided math placemat with the subtraction facts on one side and subtraction problems to solve on another one. You can use the Learning Mat Crayons from Educational Toys Planet (sold separately) or your own wipe-off markers to practice subtraction problem solving. 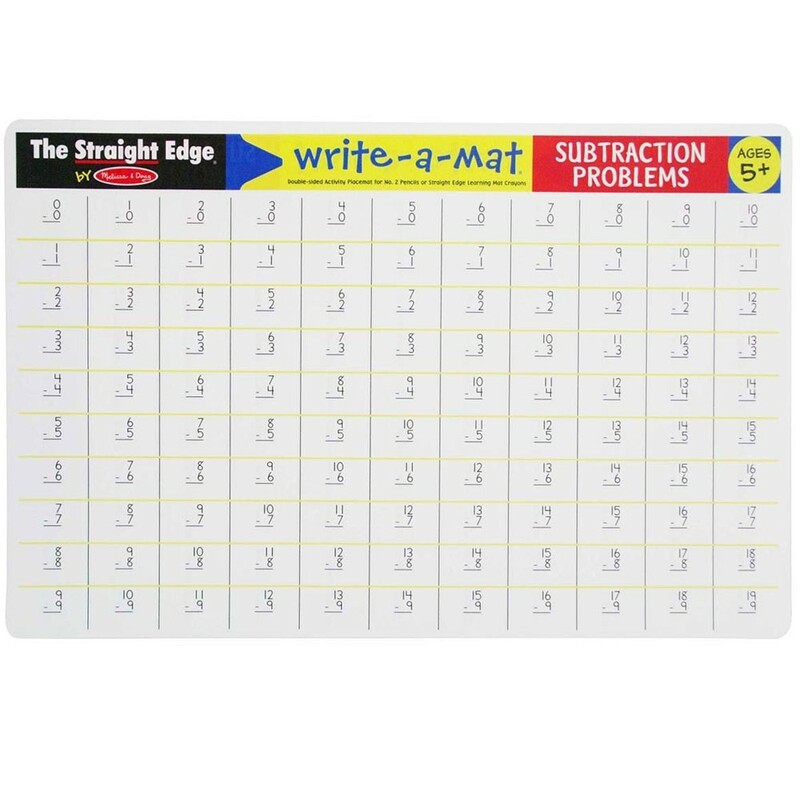 The durable Subtraction Write-on Learning Placemat can be used alone or combined with other educational placemats from Educational Toys Planet: Addition Write-on Learning Placemat, Multiplication Write-on Learning Placemat, Division Write-on Learning Placemat and more. 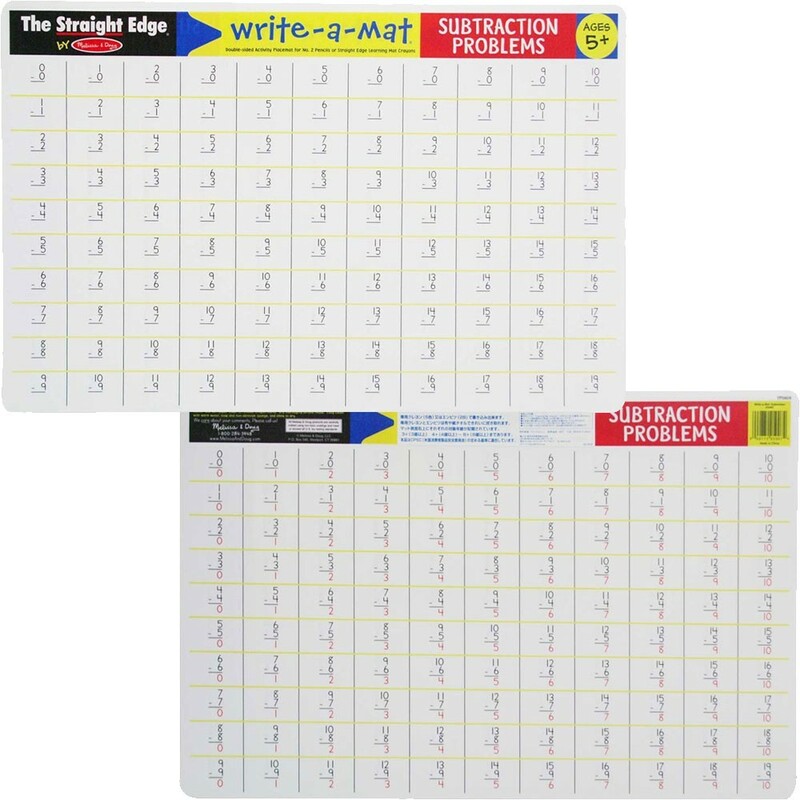 Write your own review of Subtraction Write-on Learning Placemat.